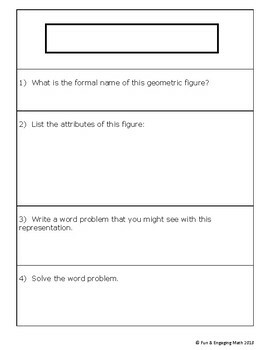 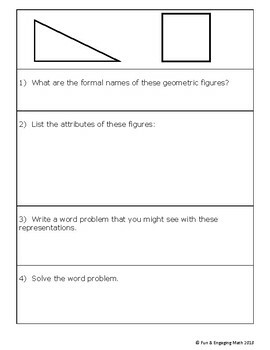 This activity provides students with the opportunity to name 2D figures, list their attributes, and create and solve word problems that go with the representations. 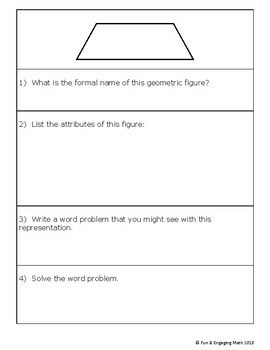 If your school has a poster maker, create posters with this activity and have students circulate around the room in groups to complete the posters. 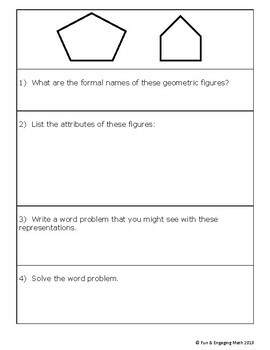 This can also be used as an independent activity, partner activity or station.